Gingerbread houses are tasty, festive, and generally pleasant to look at. 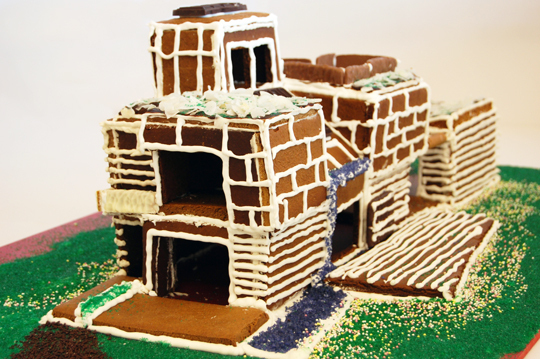 But if you really want to impress your friends and family, consider modeling a gingerbread creation after one of these ultra-green edible homes. 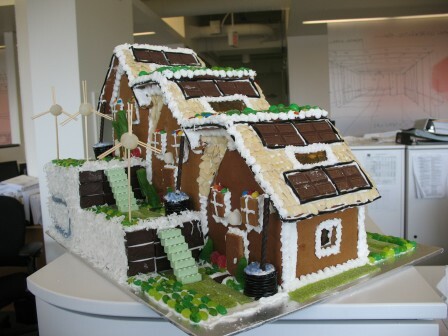 Designed by architecture firm HOK, the Green Dream “LEED platinum” gingerbread house (pictured above) features licorice rainwater barrels, chocolate solar panels, a jelly bean green roof and gumdrop wind turbines. Inhabitat points us to Michelle Kaufmann’s Gingersolaire house–a gingerbread version of Kaufmann’s Solaire prefab home, which features FSC certified wood, bamboo flooring, water-saving fixtures, and more. Kaufmann offers the Gingersolaire recipe on her website. 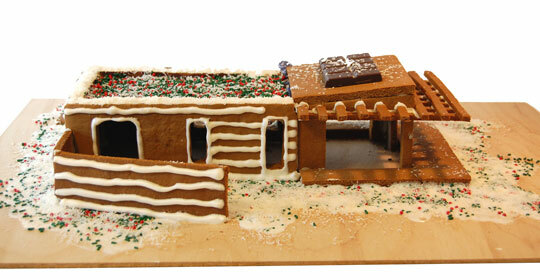 Kaufmann also offers a gingerbread approximation of her Lotus prefab home, dubbed the gingerLotus. As with the Gingersolaire, Kaufmann features building instructions on her site. Have you seen any other notable gingerbread houses this year?